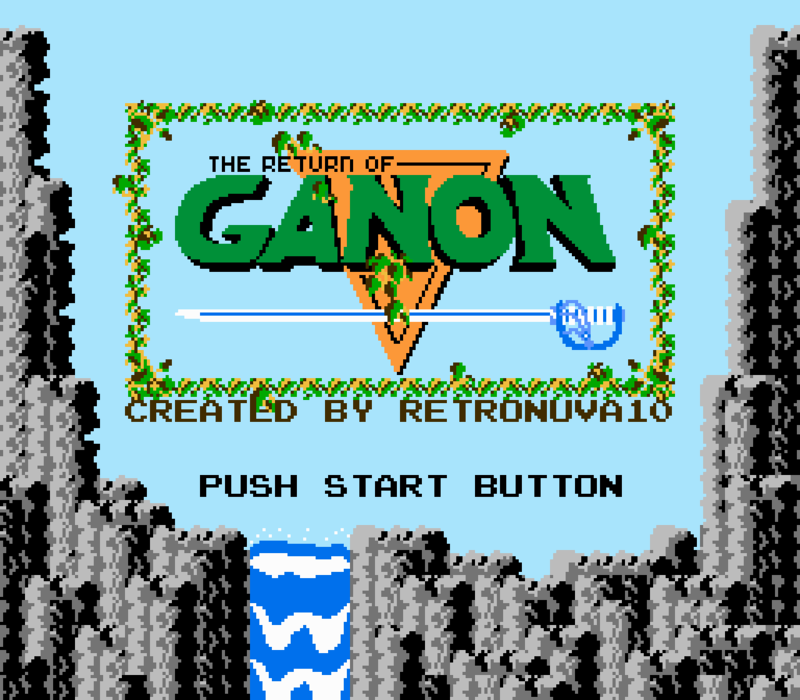 I have recently begun work on this ROM hack; it will be an attempt at completing the trilogy of NES Zelda games. There is some of the art so far. There's a lot more in the hack at the moment, but I decided to only show this much for now. The terrain tiles look especially good, but you'll have to wait for that . 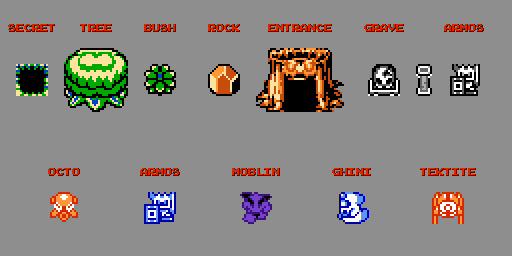 Some of the art is taken from other games/sprite-or-tile packs, some of which have been modified. I hope to release more content progress soon, so let me know what you think. Thanks for reading! The title screen is implemented now! I had to mess around some with the locations of tiles, and had to use part of the sword to barely finish the N in "GANON", but it's done! I might change it up to be a bit more original, but I like how it looks for now. Pretty Good! I'll be sure to play it once It's finished! But for now I need to finish fixing the bugs in my new Rom hack. Pictures look good so far. I'm eager to see more. Not bad,this hack caught my interest,keep up the great work! Also Im curious,will this game have custom music?